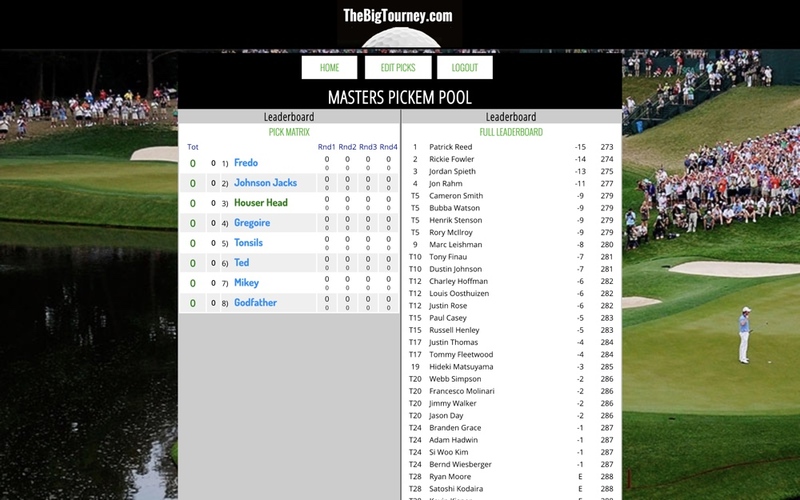 Run Your Own Golf Pool Contest Online! 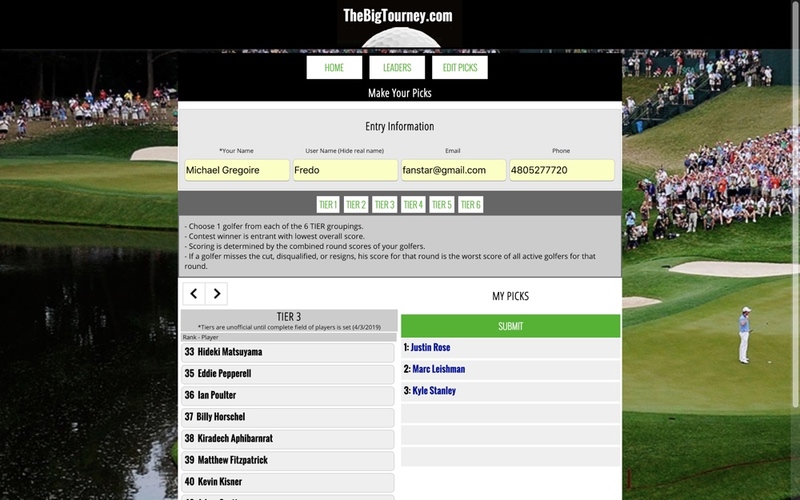 TheBigTourney.com's Golf Contest is the perfect solution. What better way to bring everyone together through the pageantry and excitement of the these great golfing events. The object of the game is to choose 6 golfers (or you set this number), one each, from the different tiers. The tiers are determined by world rank of the golfer. Tiebreaker is choosing the score of the final round of the winner of the tournament.